The gray suede boots that I drooled over last week are following me, chasing me around the internet as fast as I can click. During my morning news-perusing, the coveted shoes swirl around the top of the stories I’m reading, taunting me, “buy us! !” Conveniently, accompanying the frenzied boots is an enthusiastically-blinking link to Zappos.com, where I originally admired and then abandoned them. I felt ever-so-slightly creeped out by this. How does the banner ad know who I am? And why are the gray suede boots following me? A cursory Googling revealed that Zappos is one of the many clients of Criteo, an award-winning advertising company which specializes in behavioral retargeting following people with a product until their last ounce of willpower dissipates. As it turns out, I’m not the only one who has been followed across the net by a vengeful piece of merchandise. This blogger was chased by a pair of shorts, and this one by some brown loafers. What it comes down to is that I WANT THOSE BOOTS. Criteo knows as well as I do that the more times I see them, the more tempted I am… and the more likely I will be to buy them. Is it a great advertising strategy? Of course! But is it totally weird? Perhaps. What does Criteo know about me through the ads they serve? We do not know who you are. We do not know your name. We do not know where you live, where you work, your gender, your age, your email address or any other personally identifiable information about you. 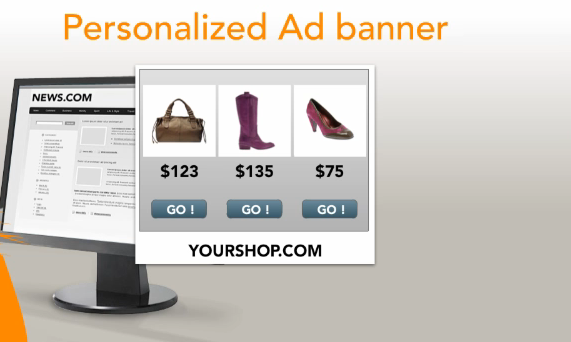 We do not collect any information from the publisher website on which you may have seen our ads. We do not store your IP address. 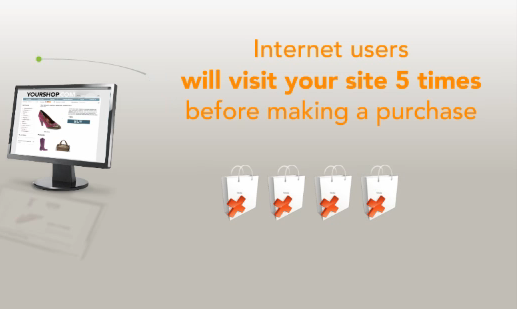 We do know that the Internet Browser you are using has visited one of our partner sites (probably an online retailer) in the last 30 days, and we have seen which products you were interested in on that site. 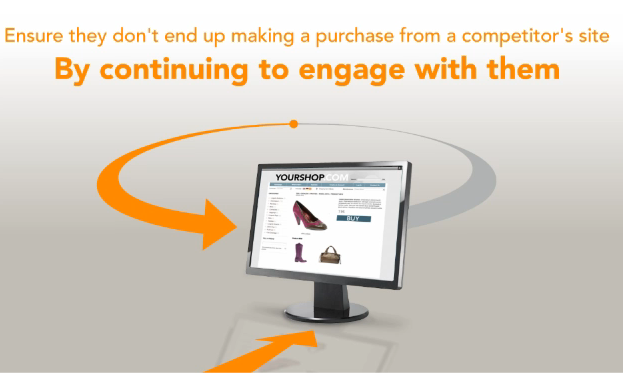 Criteo basically keeps track of which items a user visits on their clients’ websites. Then, when a user fails to be “converted”— and approximately 98% of users are not converted on any given visit— Criteo displays those same browsed items through dynamic personalized ads across a vast array of websites. Images of the viewed items float around Criteo’s banner ads until the user finally caves, or becomes so frustrated that he or she takes the time to go to Criteo’s website and opt out. Companies like Criteo are well within the limits of what is technically acceptable in terms of privacy. 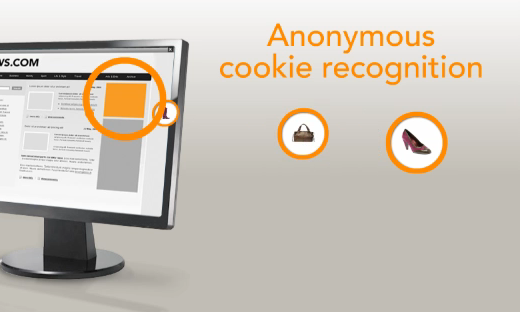 They store simple cookies, which users can block by changing their browser settings, and users can choose to opt out on Criteo’s website. These behavior-targeting companies are certainly less egregious than companies like Facebook and Google, which store much more than a simple tracking cookie, similar to the ones which are stored at almost any other website. But the visceral reaction that I and other bloggers have had to Criteo’s ads comes from the age-old adage that ignorance is bliss. I, like millions of other web users, like to pretend that I’m not being tracked and recorded with every virtual footstep that I take. Seeing my browsing history displayed across a banner ad on a totally unrelated website shatters the illusion of privacy. What I’m trying to say is: I don’t like being reminded of what they know about me and my behavior. I’d like to believe that the only one watching me shop for the gray suede boots was me. Posted in Privacy: Who Can You Trust?